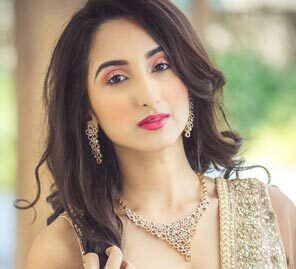 WeddingSutra held its most popular bridal initiative, WeddingSutra on Location, at the unparalleled location in the heart of the vibrant suburb of Andheri, JW Marriot Mumbai Sahar last month. Located close to the International Airport, the luxury property is already a sought-after venue for big events and weddings, and with its stunning indoor and outdoor venues it made for an ideal venue for our indulgent shoot. Captured by Candid Wedding Photographer Duo Ashwin & Jhalak of Shades Photography, here's a sneak peek showcasing the memorable moments in the company of Team WeddingSutra, our ace make-up artist Amrita Sanghavi. Stunning jewellery by Gehna Jewellers, designer bridal ensembles by AZA and elegant bridal shoes from Heel & Buckle contributed to creating a special wedding rehearsal experience for our selected brides-to-be- Sneha Bhandari, Naoumi Tripaati and to-be-weds Sachi Sheth and Keval Jagani. The beautifully manicured lawns and pool area of Mumbai's JW Marriott Sahar. 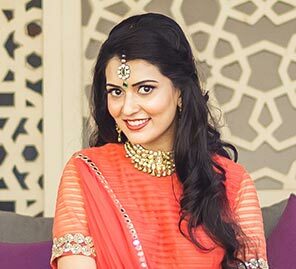 Gorgeous bridal makeovers with Lakme Absolute by Makeup Artist Amrita Sanghavi. 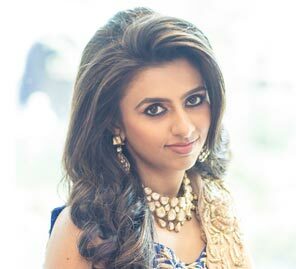 Sachi wears a studded diamond set in 18kt gold by Gehna Jewellers. Sachi, Sneha and Naoumi flip through our Canvera Photobook featuring WeddingSutra on Location bridal makeovers. A trendy minimalist diamond-studded haathphool, an uncut diamonds necklace and gold kada studded with colored kundan by Gehna Jewellers worn by the brides-to-be. A rose gold necklace studded with diamonds from Gehna Jewellers worn by Naoumi. The stunning uncut diamonds and pearl earrings by Gehna Jewellers and crystal and jewel embellished kitten heel sandals by Heel & Buckle worn by Sneha. Stay tuned for the big reveal of each bride's final look and to read about their memorable experience with WeddingSutra On Location at JW Marriott Sahar.